Today we are sharing two more brand new sets and they are so much fun!!! Seriously, I almost drooled, when I saw the first set I am about to share a card with. Can you say really scrumptious and yummy????? 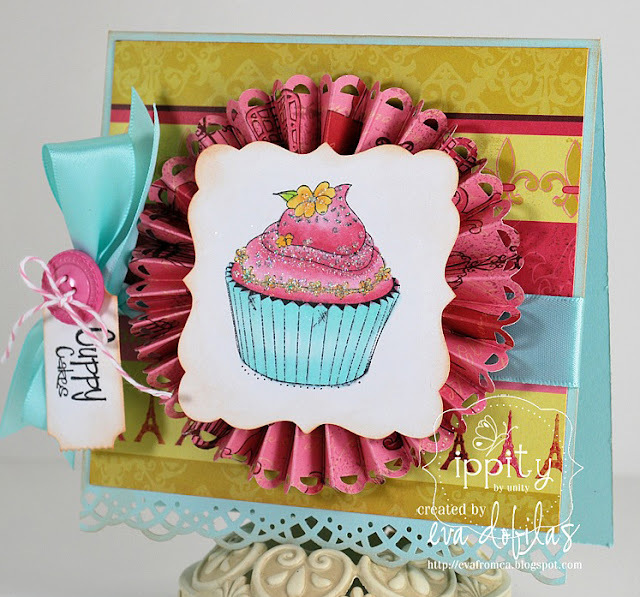 I have never ever seen more beautiful cupcakes designed in stamps....so with that said, let me introduce you to my card that I made with our newest set, which I know will be a HUGE hit, called CUPPY CAKES! And our next set to be released is a sweet, sweet happy set that is so versatile, and I think you will adore it, as well. First of all adorable images, and the sentiments are things that you will love to use ALL the time! Here is my card I made with few of the stamps in it. 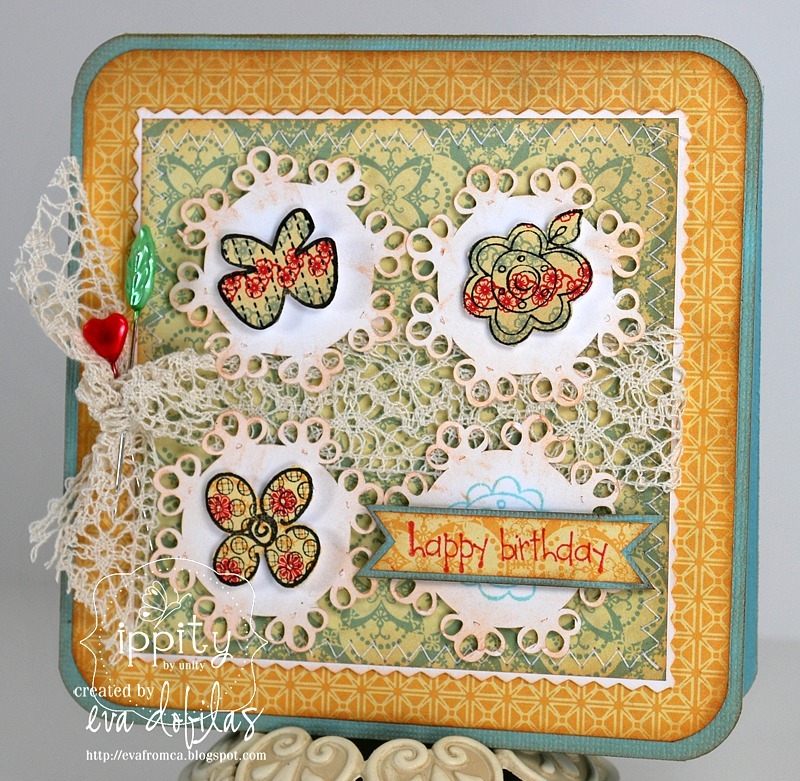 I used Cosmo Cricket's Circa 1934 line and I cut out a few adorable doilies with my Silhouette. Isn't this sweet????? I really love how this card turned out. Hope you do, too. So, how are you liking the new stamps???? Aren't they amazing??? So fun!!! 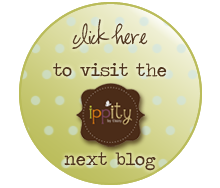 Remember to comment on all the Designer's blogs to be entered for a chance to win some yummy new Ippity stamps! !